It doesn't seem possible that it's already March, but I'm always so relieved when we reach this month. Even though the weather isn't necessarily any warmer, it still feels like we're in the clear and Spring will be here soon. And it will be! Spring is approximately 20 days away, and I can't wait to welcome it. Also, Daylight Savings is next weekend, and that is something to be very happy about. We don't really have any weekend plans right now. We'll try a new restaurant tonight or tomorrow night. For some reason, I'm really craving pancakes and I have found so many great pancake recipes recently, so I think breakfast for dinner may be in order one night. 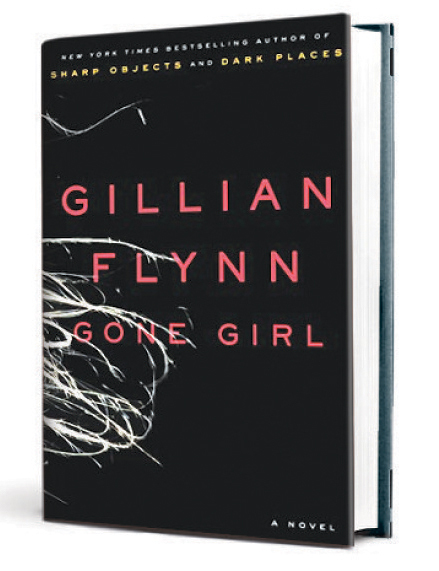 Favorite Read: Gone Girl. I read this in one day. 415 pages of suspenseful, terrifying, menacing, deceptive, disturbingly addictive drama. This book is crazy. It's about a failing marriage, and it alternates between the husband and wife's voices narrating the events surrounding their fifth wedding anniversary. I hated how it ended, but it was a great read and I highly recommend it. 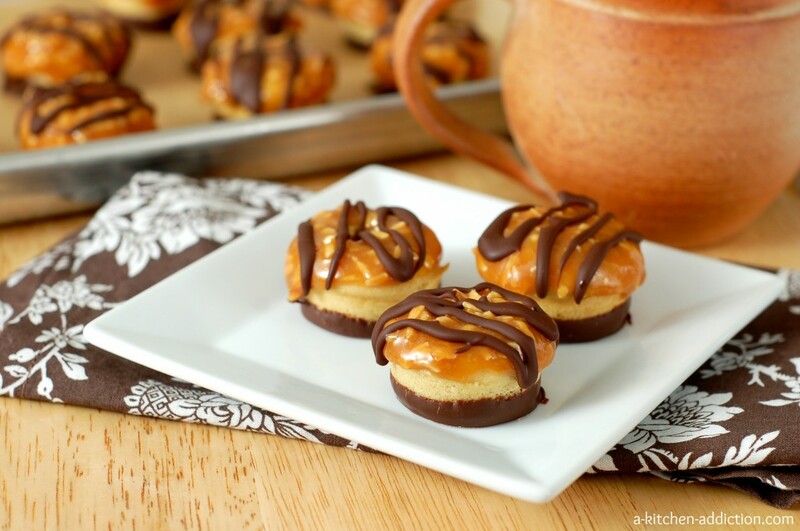 Favorite Indulgence: Samoa Baked Mini Donuts. These seem so much better than the cookie, right? Favorite Funny: Jennifer Lawrence interviewed about the details of her Oscars gown. I hope that we can all agree about how much we want Jennifer Lawrence to be our friend. She is the best. Oh, and please watch this. Favorite Decor: Pottery Barn Ava Desk. I think this desk is so modern, beautiful, and simple. It should compliment most things, but seeing as how we don't have much furniture in our guest bedroom right now, it would be a lovely focal point. The only point? 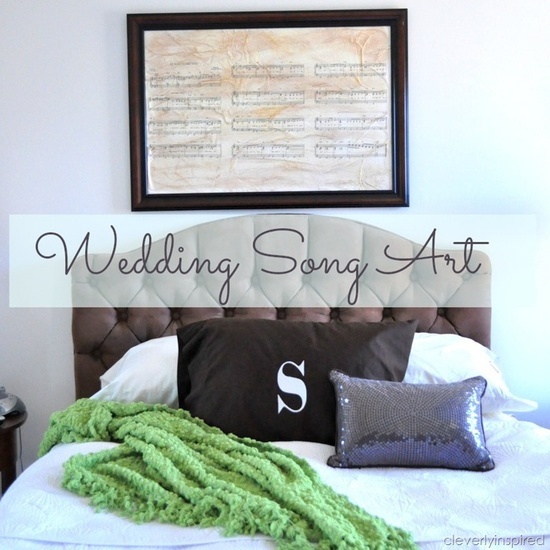 Favorite DIY: Turning Your Wedding Song Into Art. I've seen this idea floating around the internet for a while now, but I think I may actually try it. This would be my most creative project ever. I think I'll continue to think about trying it. 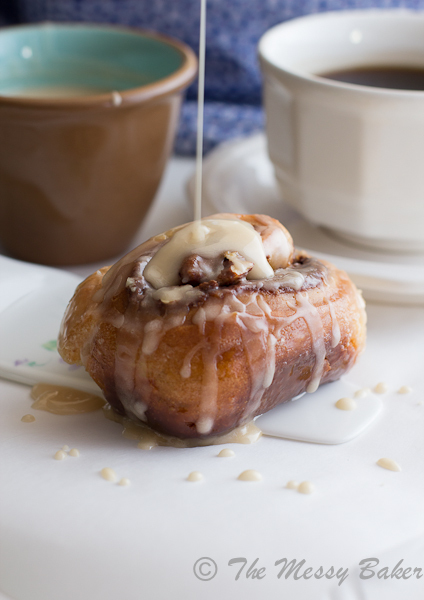 Favorite Treat: Nutella & Toasted Pecan Sweet Rolls. I guess I'm going through a breakfast food kick. Yeast intimidates me, but I'd really like to attempt making my own cinnamon rolls, or something similar to these delicious treats. Favorite Pup: Playful pup. 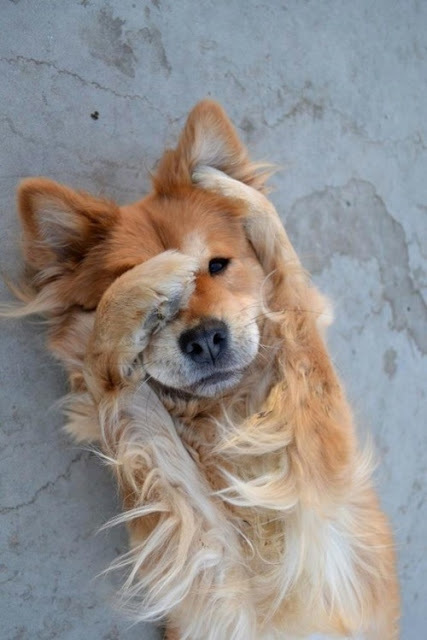 I love when dogs do this. I'm not quite sure how to define this, but I'm sure you know what I mean. 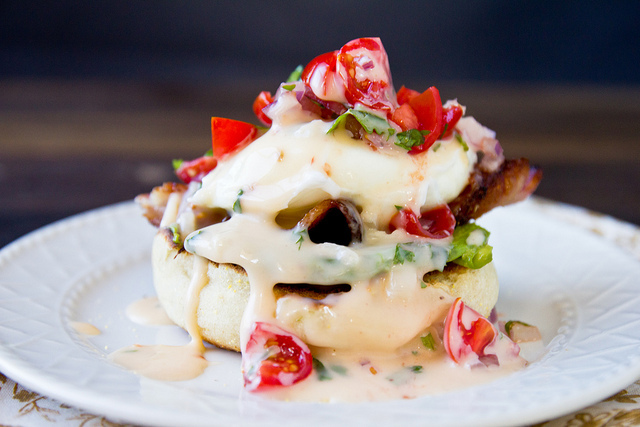 Favorite Indulgence: Eggs Benedict con Queso. I have never been tempted by eggs benedict on the brunch menu. I don't even like fried eggs, but this tex mex twist looks sinfully good. Favorite quote: I don't consider myself a sappy idyllic kind of gal, but I love these kinds of quotes whether or not they apply to me. 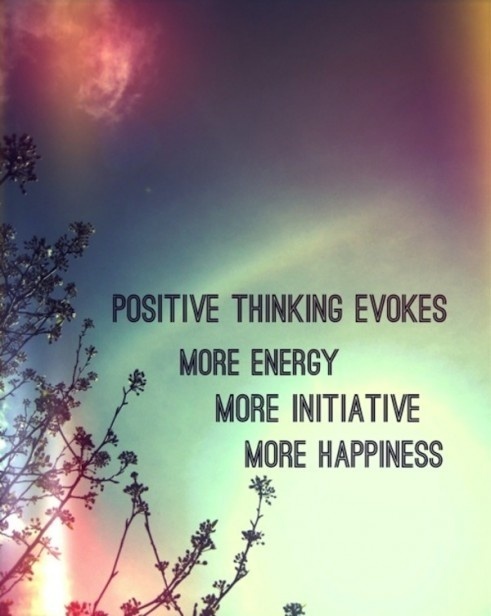 I'm striving towards being in this mindset more often than not. OMG - love this post... I've had my eye on that desk & I cannot get over that pup, my heart is melted!